"The tale is one of inclusion, acceptance, diversity, friendship, and kindness, but all are subtly included and take a back seat to the story. 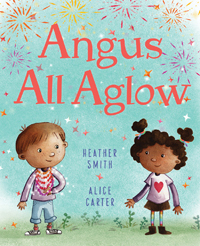 This book's sweet message leaves you glowing from the inside out, just like Angus." "A heartwarming story that emphasizes the individuality and creativity that each child brings to the world and the challenges children face as they try to communicate their uniqueness to others." 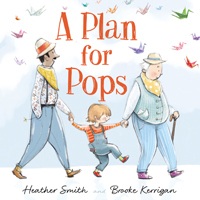 "Smith's story accomplishes some great things: It introduces readers to new reach-word vocabulary, and Angus' love of sparkle isn't tied directly to sexuality or gender identity, allowing it to reach the heterosexual cis boys who love a little glitz and glimmer." 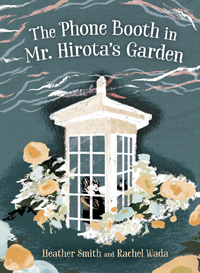 "A heartwarming and sparkly story of friendship. Angus is a lovable and charmingly original character, and his story holds an important message: we all glow a little more brightly when we are able to be ourselves."